Red-light cameras represent a real challenge to many drivers, even safe ones. Traffic school is one way to handle violations reported by these cameras. You are rushing to a meeting and push the yellow light, and just as you enter the intersection you sense a flash of light. Uh-oh, you think, and sure enough, a few weeks later you get a mail notice that you have been caught on camera. For an increasing number of Americans, the red light camera has become a reality of life, and millions find themselves paying fines each year for pictures taken of violations by these silent sentinels. 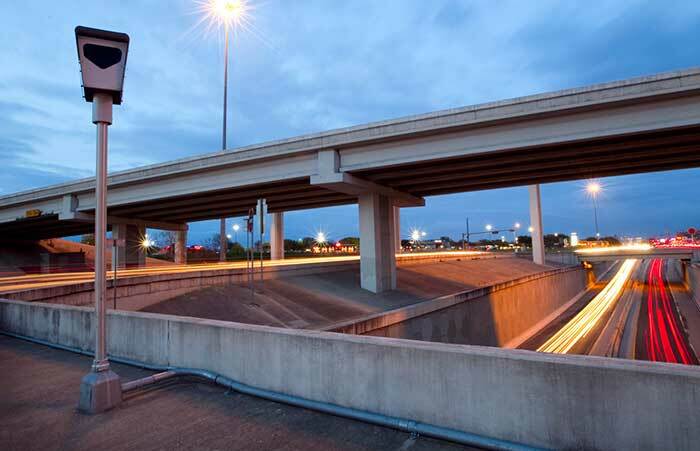 Fact or Myth: Safety is the primary reason local governments are installing increasing numbers of red-light cameras. Myth. 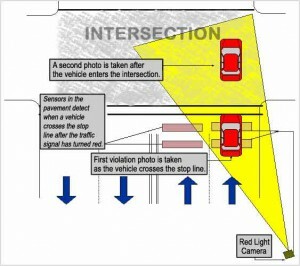 Numerous studies are proving that red-light cameras actually make streets less safe. An increasing number of accidents are attributed to the presence of such cameras, especially those set to the federal minimum of three seconds for a yellow light. Drivers will suddenly slam on the brakes when yellow lights are too fast, and other drivers try to force lights while others move forward on a quick green. Fact or Myth: You have nothing to worry about from red-light cameras if you don’t speed or run red lights. Myth. As noted above, as many as 80 percent of all red-light violations ticketed involve right turns without a full stop, or not stopping the necessary length of time to not activate the camera. School zones also provide a number of violations, as many cameras do not correspond with the designated times for the cameras to report violations. Another problem, according to the Insurance Institute for Highway Safety, more than 28 percent of all red-light tickets are issued to the wrong person. Fact or Myth: Municipalities and cities that use red-lights protect drivers with a reliable violation-review process. Myth. Virtually all red-light systems are installed by third-party for-profit companies. These companies have contracts with the city that require a certain number of recorded violations result in issued tickets. This number is often at 90 percent or more, and the cities are required to maintain this level or be subject to large fines. This financial penalty, as well as the additional revenues they receive, creates a double whammy effect against a fair and impartial review of recorded violations. In fact, the reviewing is often a police officer who, as a city employee, has a strong incentive to approve the ticket, regardless of the actual circumstances. These, and other factors, have made the red-light camera issue a hot button for many communities. There is an ongoing effort to stop, or at least significantly lower, the reliance on these cameras as a way to enforce red lights and traffic safety. However, they remain a real threat to even the safe driver, and can easily result in fines that run into the hundreds of dollars. If a red light camera has caught you red-handed, and you’ve received a ticket for a moving violation in the mail, you may find a defensive driving course will save the day. Many state and local traffic courts allow you to take such courses to lower or dismiss your ticket and fine, and you may even be able to avoid having any points added to your record. Additionally, many auto insurance carriers provide discounts for drivers who take defensive driving courses, and you can earn safe driver discounts for completing these driver classes.